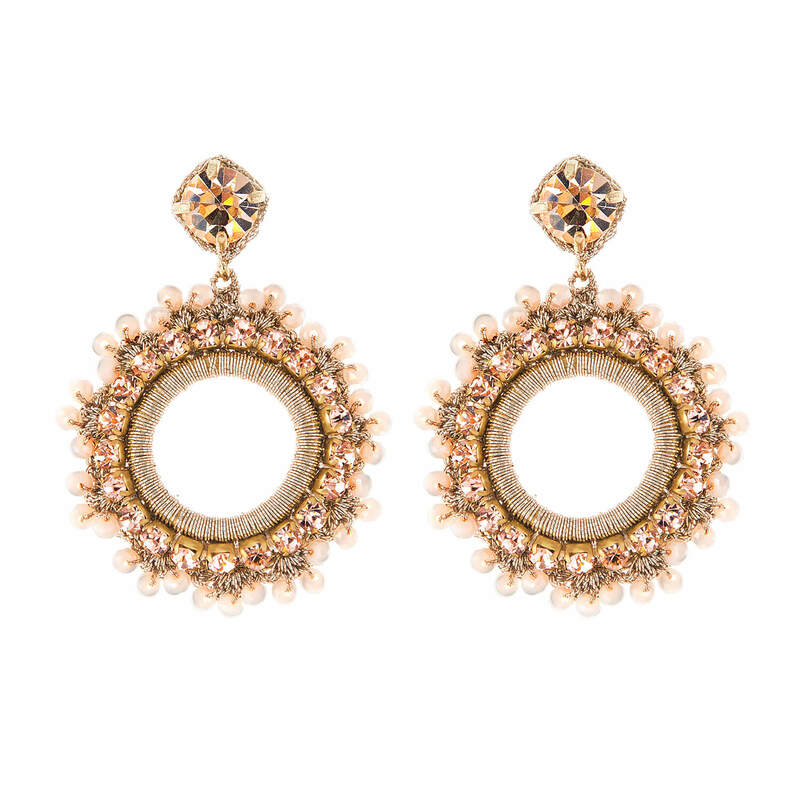 A light touch day or night wear oval earring. One of our many popular classic crochet crystal styles Lovingly handmade by St Erasmus Artisans. Presented in gift box for safe storage. Comes with drawstring dust-bag. Includes 12 month warranty. Delightfully playful deco chandelier earring with Jet Petal Flower, central Zari crochet and Glass Pendant Drop Lovingly handmade by St Erasmus Artisans. Presented in gift box for safe storage. Comes with drawstring dust-bag. Includes 12 month warranty.